It’s your story launched in 2004 and were the first UK company to sell photo – personalised books on the Internet. 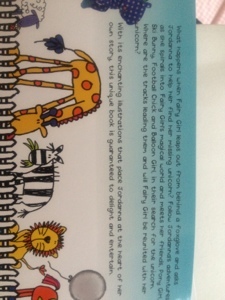 They sell a great range of personalised books, party invites, ebooks, cards and more. The process to make your own personalised book (or other item) is very easy. You go to it’s your story and click the storybook you want. You then type in your child’s name, child’s best friends name and choose a photo to upload. It does not take long at all. 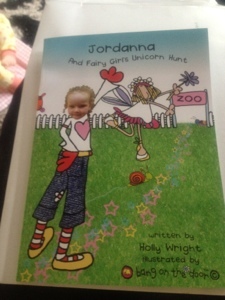 I was sent a book for Jordanna for review and was able to easily create a book for and about her.
. I chose the Fairy Girls Unicorn Hunt as she loves anything to do with fairies; intact she wants to be a fairy when she grows up. The book is absolutely delightful- can you imagine your child’s face when they get given their books and see they are the main character in the story?? I have never seen books like this. she is even mentioned on the back page too. It is Jordannas birthday in a few weeks do I thought rather than giving it to her just yet I will save it until then and give it to her as part of her presents. I can’t wait to see her little face.